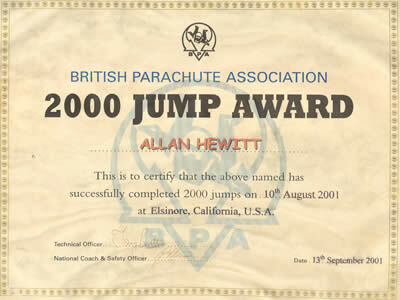 I did my first skydive at langar parachute centre and spent two years as a club member before leaving to join the parachute regiment. 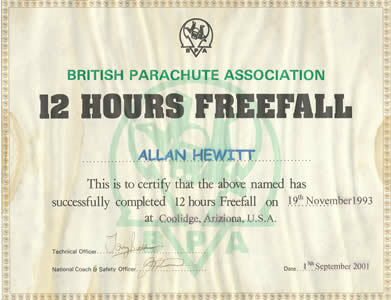 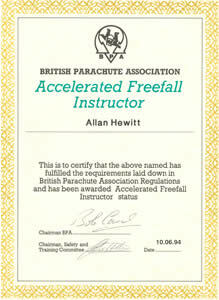 I spent five years on the Red Devils Freefall Team taking part in parachute displays around the world. 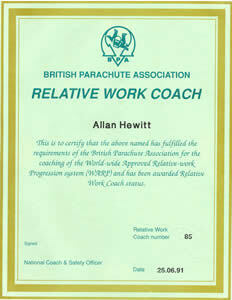 I then left to join GQ Parachutes as a project engineer designing and testing parachutes. 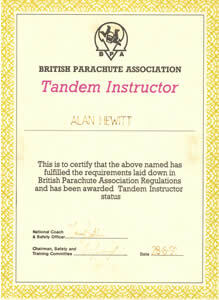 I have worked on three James Bond Films, two Tomb Raider Films, CBBC TV, You Bet, Seconds to Impact, Saving Private Ryan, The Borrowers, The New Avengers, Notting Hill, Mr Lonely, True Hero's and Batman; taking part in and coordinating skydiving stunts and manufacturing custom safety harnesses for the stunt crew and major movie stars. 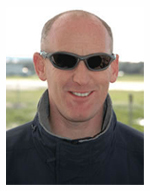 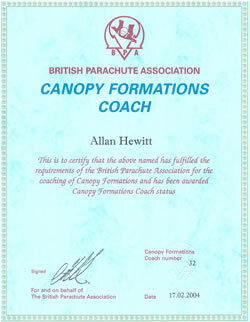 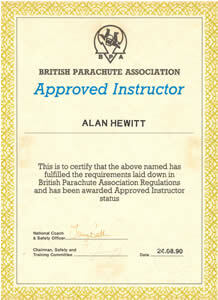 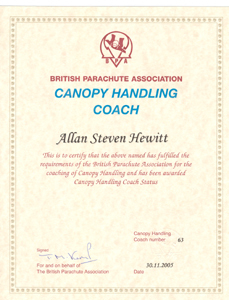 After selling part of Sky Science I moved from the UK to open a parachute centre in Spain. 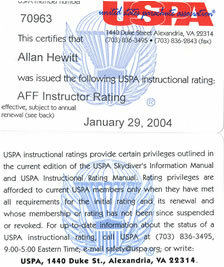 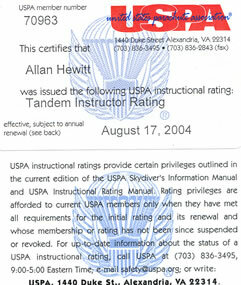 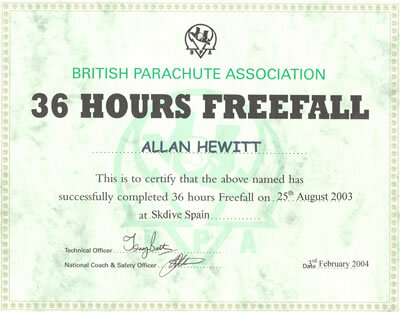 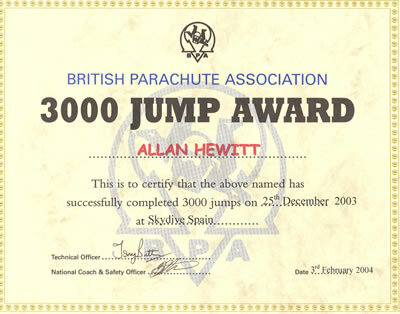 I set up and managed Skydive Spain for a period of seven years before selling the company. 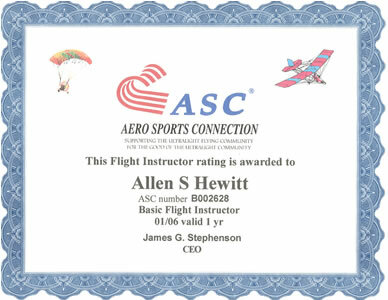 I am currently running my Sky Science company which has now been refined to concentrate on those aspects of the sport that interest me the most; coordinating skydiving stunts and teaching. 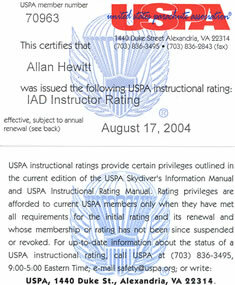 I am passionate about my new project as owner of Skydive Safety as this is my way to continue educating skydivers, to enjoy this thrilling sport in a safe and fulfilling way. 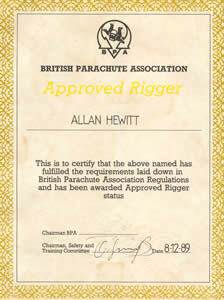 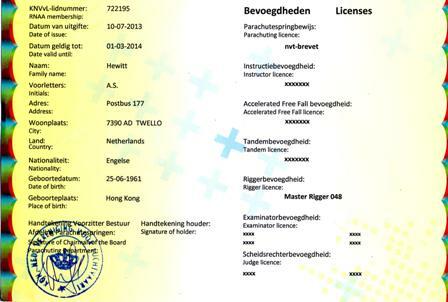 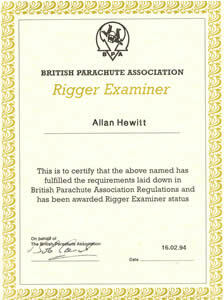 My current riggers licence is valid until 1st March 2014 and my current instructors licence is valid until 30th September 2014. 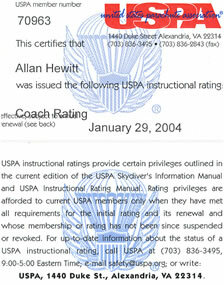 I have over 6,000 jumps and I'm in my 26th year of of membership with the USPA, and 35th year of membership with the BPA. 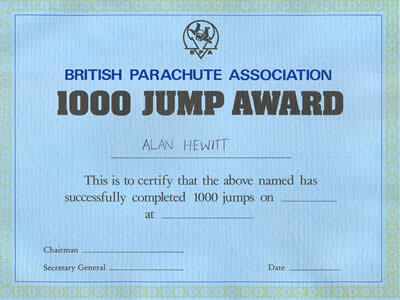 E-mail me or find me on Facebook by searching for "allan hewitt, apeldoorn"
Jumping into Wembley stadium while doing CF and wearing football kit. 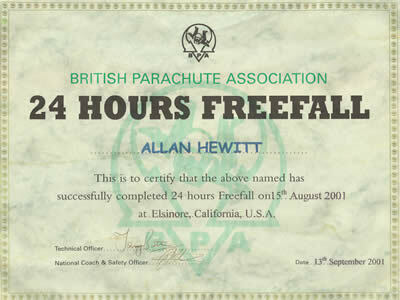 Jumping into Buckingham Palace with a union flag parachute that I built.